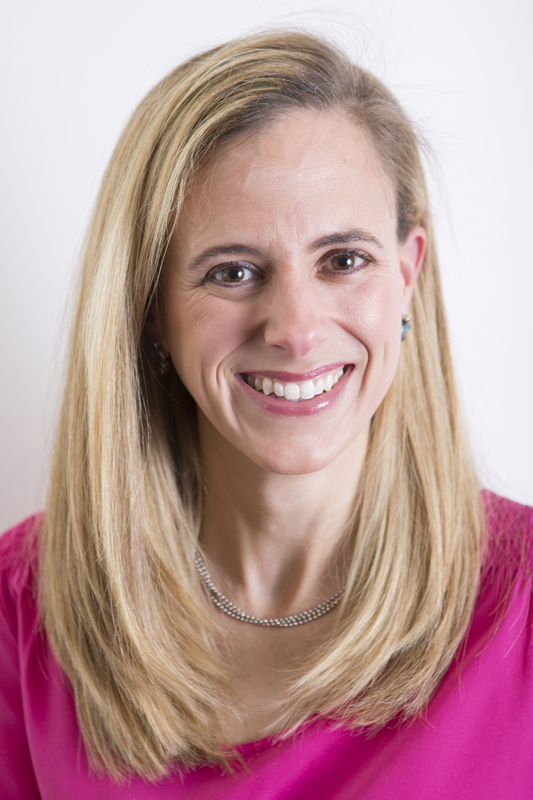 Erin Malawer is a food allergy management expert who serves on the Food Allergy Task Force at Children’s National Medical Center in Washington DC. Erin advises pharmaceutical companies, tech start-ups, restaurants, camps, food services as well as families and individuals on food allergies. Erin was featured on the Discovery Chanel documentary, “Emerging Epidemic: Food Allergies in America.” In addition, Erin has consulted and contributed to a variety of media sources including those programs and articles featured on CBS Radio, Politico, Healthline, Fox 5 DC, and CBS News. Erin is also the food allergy columnist and medical editor for the publication, Allergy & Asthma Today. With ten years experience training school administrators, teachers and staff about food allergy management, Erin thoroughly enjoys spending time in the classroom educating children about living with food allergies. Among her many areas of interest are food allergy innovation, education, psychosocial implications of living with food allergy, as well as advocacy. Through her organization, AllergyStrong, Erin is focused on helping the at-risk and underserved community living with food allergies. Erin is a former U.S. diplomat with experience in the Middle East, North Africa, Europe, and South America. She’s worked with foreign governments to counter narcotrafficking, terrorism, and foster international peace. She loves languages and is an avid cook. Born a severely allergic child, my son first reacted to milk at six months old and was officially diagnosed with a wide array of food allergies by fifteen months. I was overwhelmed. Like many parents, I didn’t grow up with food allergies (nor did anyone I knew). Throughout my pregnancy I had imagined that we’d one day make cookies together, maybe sneak in a bite of pizza. But with milk, egg, soy, wheat, peanut, tree nut, corn and sesame seed allergies (nevermind his allergy to my two dogs! ), those dreams felt impossible. I deeply mourned the loss of these hopes and visions until my husband helped me regain perspective, reminding me that there MUST be a way around all of it. My husband’s voice of reason echoed in my head and I soon began researching and speaking with other parents. It took time, but we figured out that way around – a way that works for our family. My personal philosophy on food allergies was born out of necessity: Not only did the allergies mean that I had to look out for our son physically, but I was worried about him psychologically. I wanted him to understand the dangers of his allergies and take them seriously, but not live in fear of the world around him. It was important to me that he didn’t feel “different” because he had food allergies. We underscore the fact that everyone’s body is unique; his just can’t have certain foods. So, he and I are vigilant about keeping safe, but we shrug it off when he can’t eat something. In short: Allergy, shmallergy! 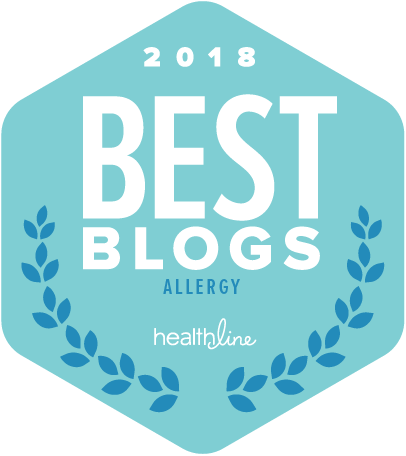 Living safely with food allergies doesn’t slow us down and I hope this blog makes it easier for you and your family as well! Hi! Glad I found your website – or did you find me through Twitter…doesn’t matter but glad to know you are out there! We are in this together – many contacts I will never meet through 5 yrs of food allergy in my daughter but we are like one growing army of Mama Bears that will do anything we can to figure out a new way of life by living with food allergies. Let me know if you are anywhere near Loudoun County, VA and see our website at http://www.loudounallergynetwork.org We had to give up our dogs when Ella was 8 months old. She also has developed asthma. Keep in touch! 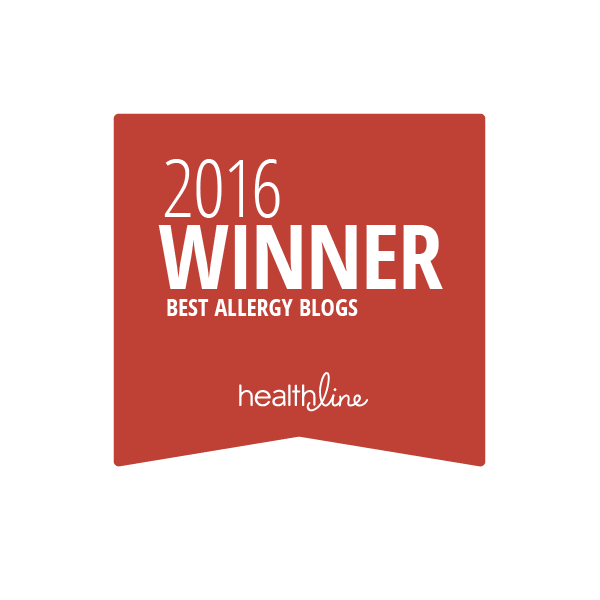 I am a fellow McLean allergy mom and stumbled across your blog. We have also eaten successfully at Endo Sushi, Mclean Pizza and Chicken Out with our son (sesame, egg, peanut, tree nut allergies, among numerous others). Would love to hear about more local places you frequent. I will certainly be adding new posts about local eateries and the way in which they handle food allergies. In the meantime, follow me on Twitter (@shmallergy). I often tweet about our experiences with food allergies there. 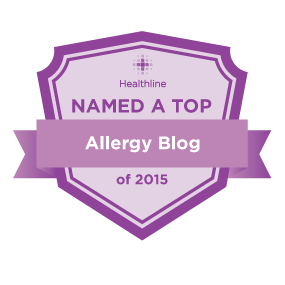 I would love to talk to you about featuring your blog entries on AllergyEats. If your not familiar with the site, its a free, online guide to allergy friendly restaurants. We always are looking to add blog entries on various restaurants so that the users can have more information- whether it’s positive or negative. A person who has food allergies (or a parent of one) can never have to much information. 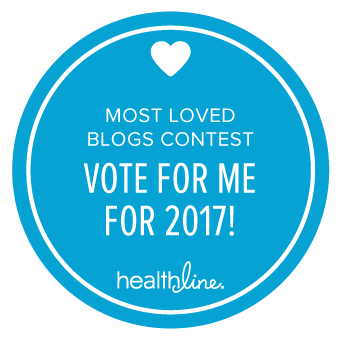 I really enjoy your blog and think it would be a great addition to the site! I came across your blog and I wanted to introduce my line to you for infants and toddlers. Several years ago I was diagnosed with Dairy and Egg allergies – and most recently added Gluten to my list. I designed these shirts to help kids be safe while allowing their parents some small bit of security hoping to alert others while they may not be around. As an adult it is difficult to choose a meal – but with all the new menus etc out there – it has become increasingly easier – but for a parent of an allergic child – I can’t imagine. That is why Love, Linda Allergy was born to help! Here is a link to our Allergy shirts – http://lovelinda.com/Allergy_shirts.htm Our shirts include Dairy, Egg, Peanut and Gluten. Love, Linda also sells a line of shirts for infants and toddlers called “The Art of Reading” licensed artwork from Children’s book illustrators that are currently sold in specialty stores across the country. http://www.lovelinda.com . I’d be happy to answer any questions you might have – hoping that you find some interest in my line that might be of interest to your readers. I have a soy allergy and really appreciate your posts. i just found your blog through another allergy site. I so appreciate it. I have a lactose intolerant child and have 3 food allergies myself, one is a life threatening allergy. 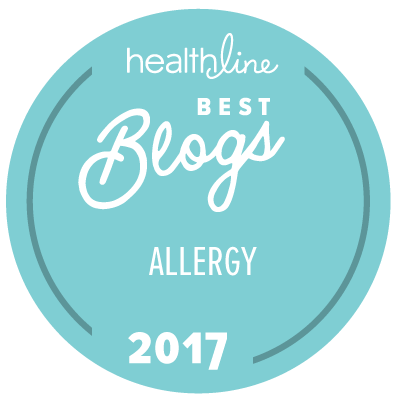 Thank you for blogging these allergy-friendly restaurants in the DC area. We plan on visiting in the next few weeks with our PN-TN allergic son. By reading your posts, you just saved me valuable vacation time! So happy it helped! Have a fantastic visit! Thank you so much for your support, Kathy! Can’t wait to check out your products! !